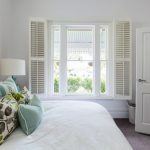 As one of the most respected blinds and shutters suppliers in and around Scunthorpe, Humberside Sunblinds can be there for you to provide the most beautiful made-to-measure blinds. Our collective range includes Roman blinds, vertical blinds, wooden blinds, roller blinds, blackout blinds and shutters, all available in an impressive variety of colours, patterns and fabrics, so you can be sure to find the perfect blinds to complement your surroundings – whether a commercial or home setting. Being a family-run business, we pride ourselves on offering a personal service to all our customers to continue our high standards throughout every aspect of what we do. 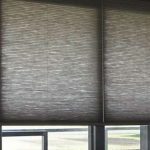 As part of this service, our friendly, expert staff will be there to help assist you with finding the blinds that meet all your requirements, in terms of looking great in the room they are intended for whilst providing you with the right amount of light and privacy when needed. Humberside Sunblinds are solely focused on the quality of our product and efficiency of our service. As part of this commitment, we can arrange a free home visit at a time that is most convenient for you. You can also visit our showroom, and see our full range before you make your final decision. So if you’re in Scunthorpe and are in search of a window dressing solution you can be proud of, please do not hesitate to get in touch with the friendly team here at Humberside Sunblinds today – will be more than happy to help you.